Intruders broke into a shipping container in Bognor Regis and stole part of a seven-tonne digger. 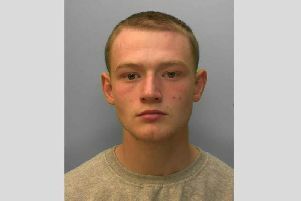 Officers are appealing for information following the break-in, which took place at a yard in Chichester Road on May 22. Police say once inside the container the intruders stole two Stihl disk cutters, a mini concrete breaking hammer from a seven-tonne excavator and a 20-litre container of petrol. Anyone with information should contact police on 101, quoting serial number 0338 of May 22.